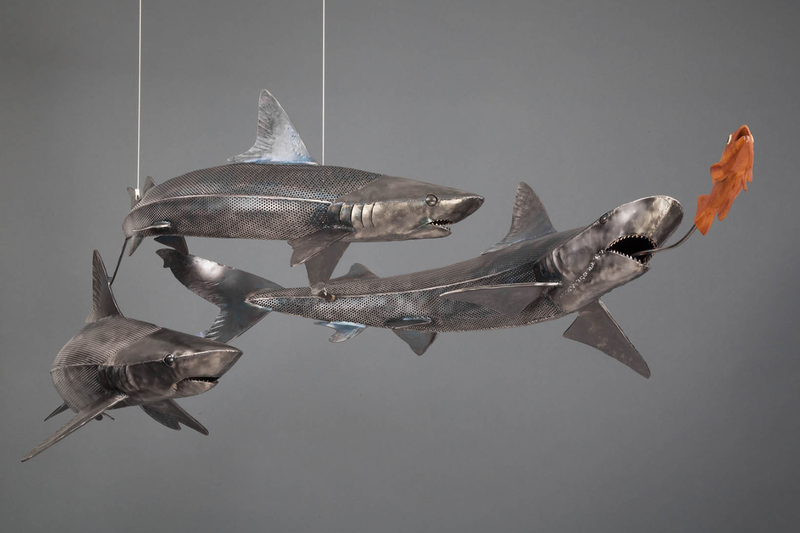 As natural resources become scarcer, the struggle to obtain them becomes more intense. 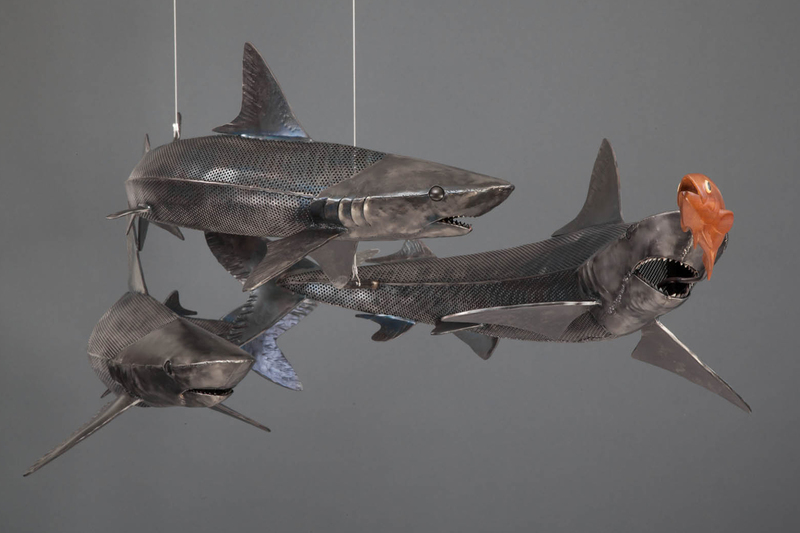 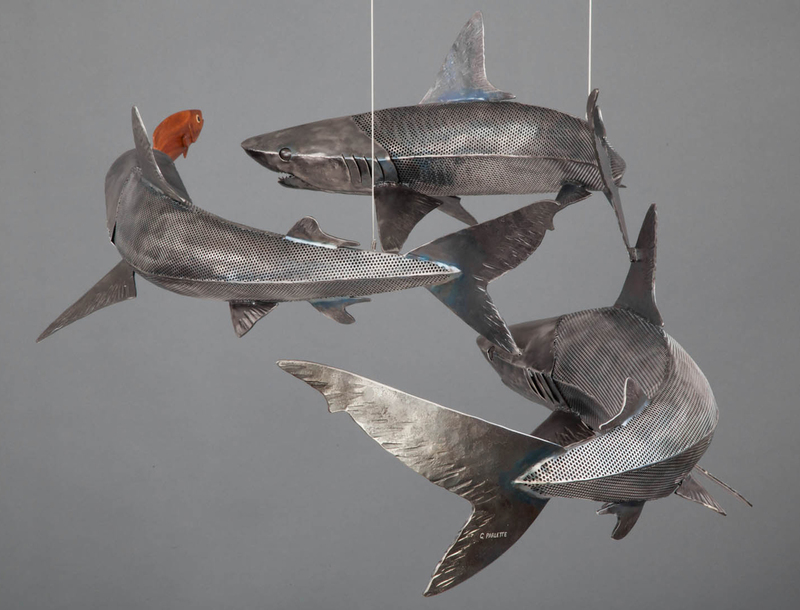 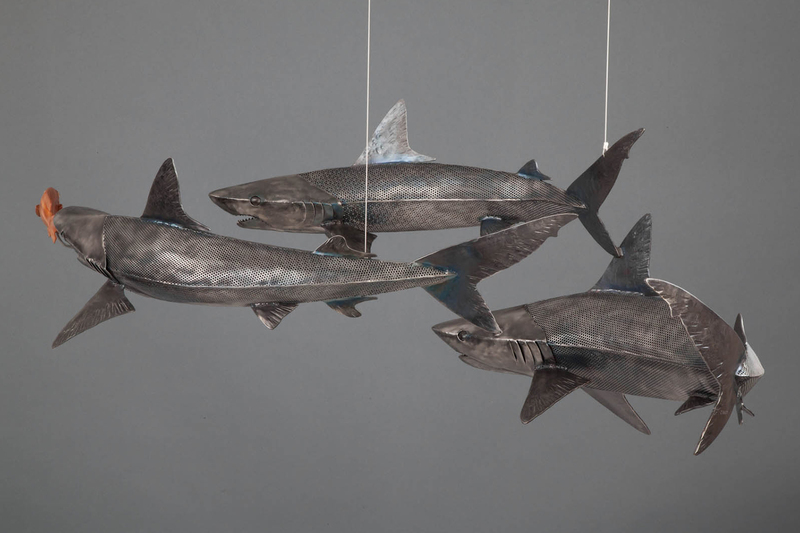 The stark contrast between the three steel sharks hammered and welded to give an industrial appearance and the small wooden fish carved out of mahogany, bone and mother of pearl with its smooth organic lines highlights the plight of the remaining natural resources. 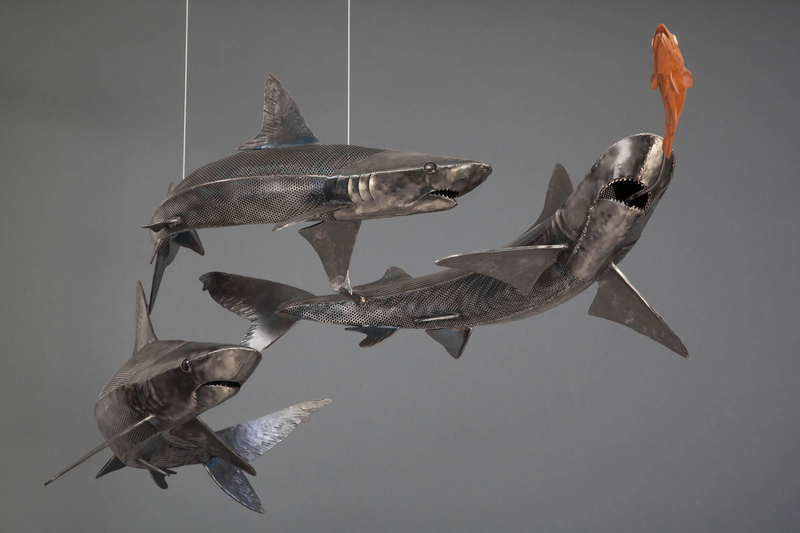 This piece leaves unanswered questions. 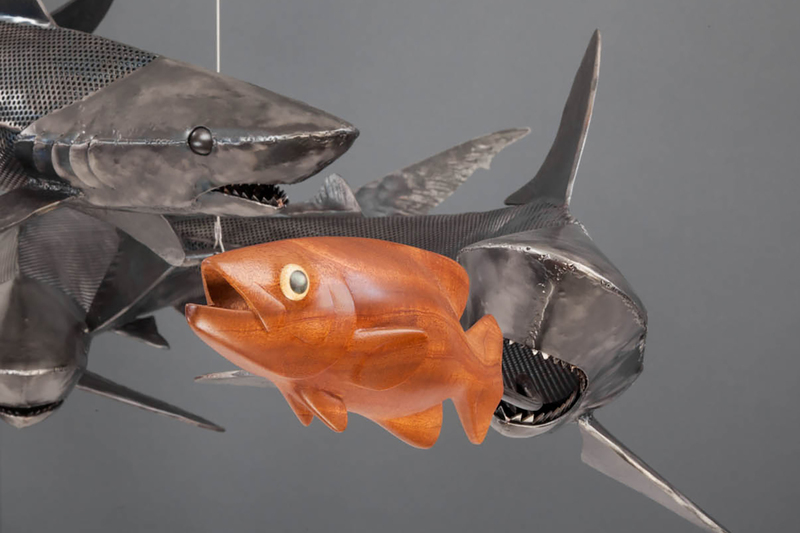 Will the fish survive? 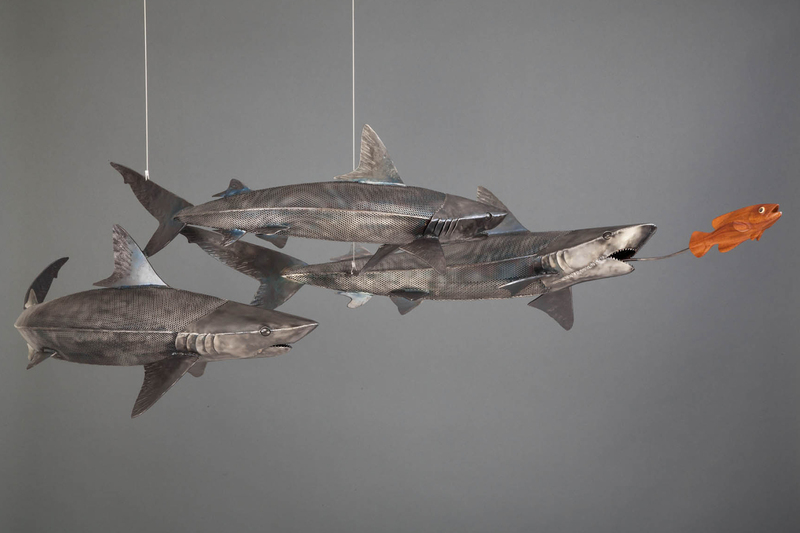 And what happens to the sharks when there are no more fish?